BEST RESTAURANT OF BUCKS & MONTGOMERY COUNTY for the second year in a row, 2011 and 2012 Reader’s Choice Awards, The Intelligencer. 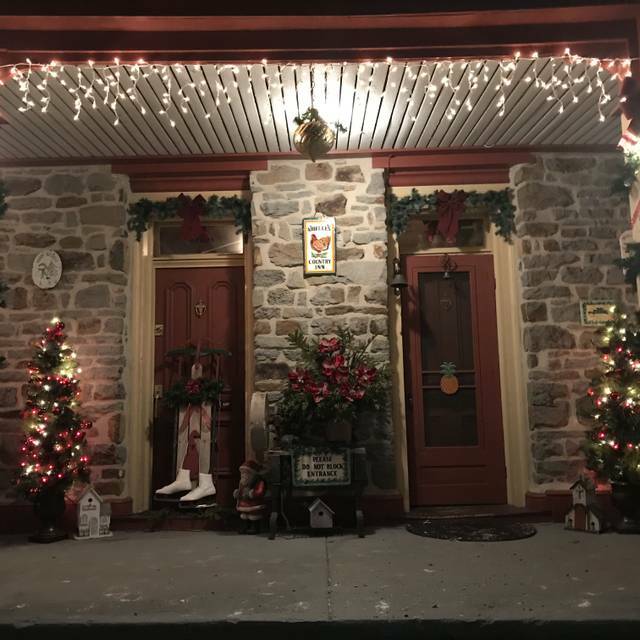 Arielle's Country Inn, located on Allentown Road, is housed in a beautifully appointed, historic, stone building dating back to 1754. 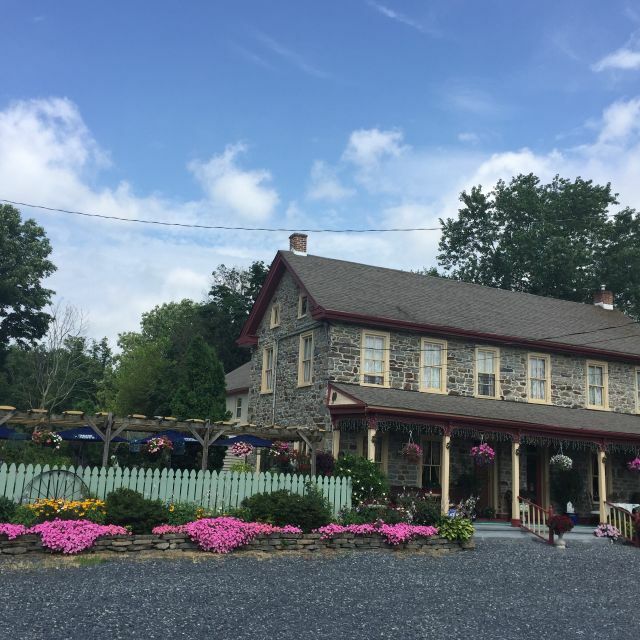 Used as a stagecoach stop in the 18th century, the restaurant still retains that warm country atmosphere. Chef/owner, Jacques Colmaire, uses locally sourced, fresh, high quality ingredients to skillfully prepare food for you to enjoy. 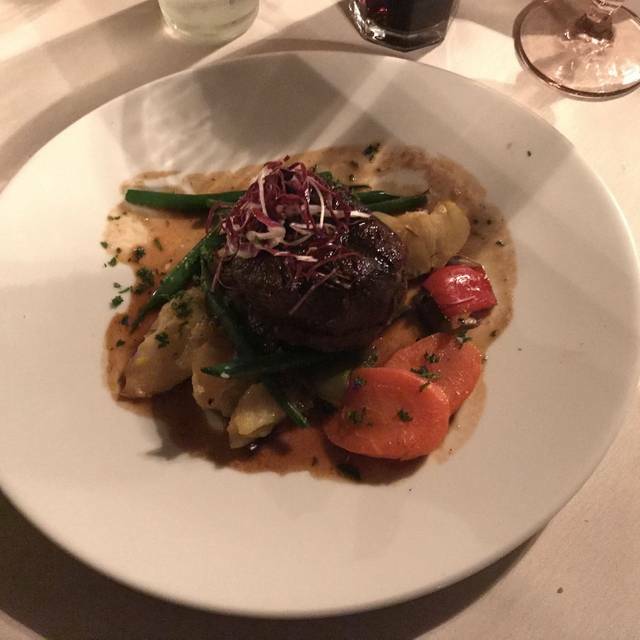 Diners can choose from Prime steaks, fresh seafood, pasta and other specialities which are all cooked to order and served in a romantic, candlelit dining room, enhanced with a fireplace and cozy bar. 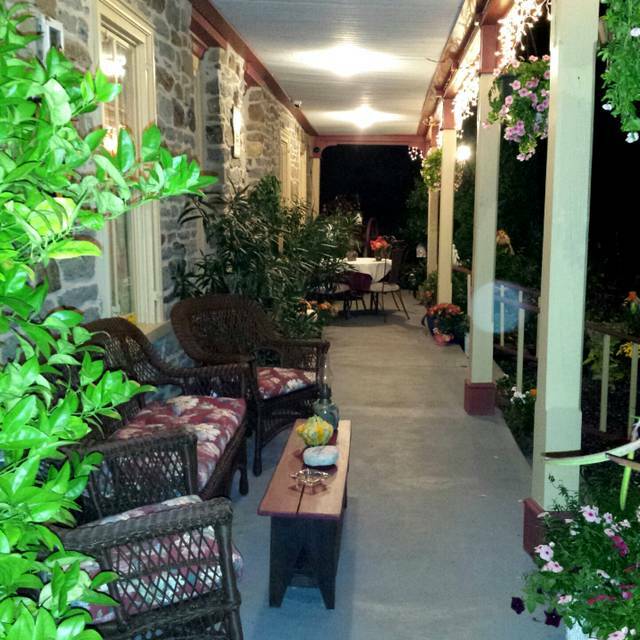 Garden dining is available amid a beautiful flower garden in the summer months. We look forward to having you as our guest! Beautiful restaurant! The food was absolutely wonderful! And the service was impeccable! We LOVE this place! So warm and welcoming! Highly recommend!! Very cordial and beautiful restaurant. Staff not only is attentive but they are personable and enjoy what they do. Will come here again and again! Delicious! Lobster bisque was amazing. Service was fantastic. Our food came out of the kitchen steaming hot. I can’t wait to go back! The whole evening was very special. The ambiance , service, food and dessert was top notch. This was our first trip to Arielle's for a birthday dinner. Every course was wonderful. Each prepared very well. 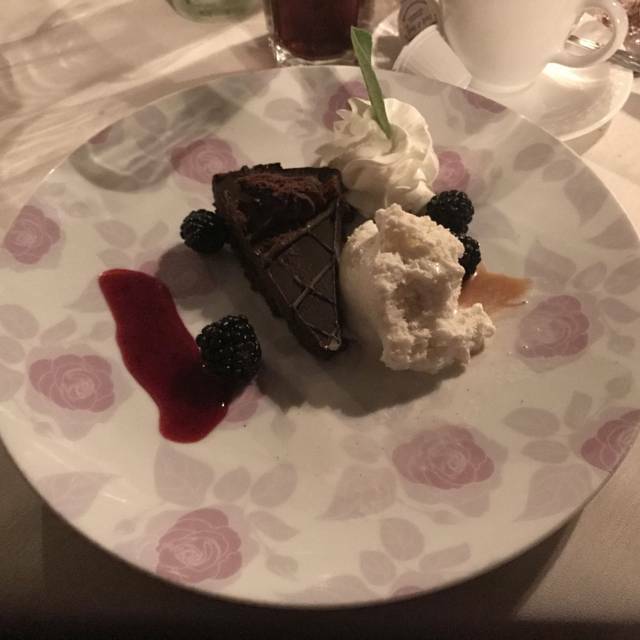 Fresh tastes, Desserts were great too. Wines were so so but the food was excellent. It is a quaint old roadhouse to look like a country inn. All staff was courteous and helpful. When our server got a little behind someone else came to help out so our service wouldn't be interrupted. That is a rarity. We will be back and would come more often but it is a little pricey not the $$ on facebook. So we were a little taken aback by entree prices but they were well worth the cost..
Lovely round table for our party of six. Delightful menu with a good choice of specials. For our group dessert they even surprised the birthday folks with a candle on their slices of pie! 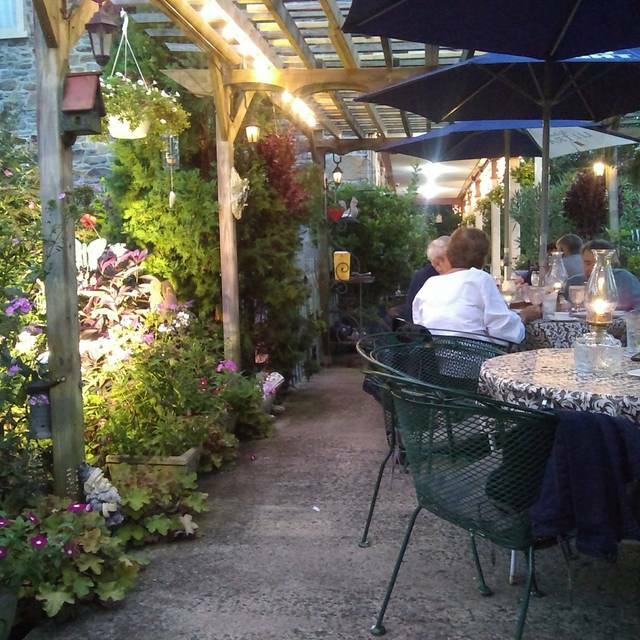 We look forward to returning in the summer to dine outside! Our first visit. We liked it, a lot, but the food didn't quite "blow us away" to warrant an excellent rating. Service and Ambiance did warrant excellence. Our favorite place to dine in the entire are. We always look forward to eating there; the food and service are always top notch. My wife and I have been dining at Arielle's on special occasions for 25 years. We have never been disappointed. The meal was simply delightful. This was not our first dinner at Arielle and each time has been a joy. Arielle’s is consistently outstanding. Great food, service, and ambiance. A favorite place. Very good food, lovely atmosphere and excellent service. The food was hot, portions generous, and very tasty. Service was excellent, atmosphere was cozy, as we were seated a fireplace, and comfortable.seating was a bit too close, such that conversation of people at the next table was easily heard. We both had French Onion Soup that was very good, my wife had rainbow trout and I had chicken cordon blue—both excellent. Was the best dining experience I have had in a long time. We will be back. wonderful food, service and drinks as usual. Highly recommended. This is our go to place for anytime we want a NICE dinner or special occasion. The place is the best. We dined with friends and thoroughly enjoyed the experience. As always, the food was outstanding and the service was warm and friendly. We love coming here. Overall, a very nice experience. High quality food but at reasonable prices. Only negative was the wine selection, an average list but all low quality selections. Wouldn't hurt to have a few good bottles available for those diners who value the wine as an accompaniment to a high quality meal. 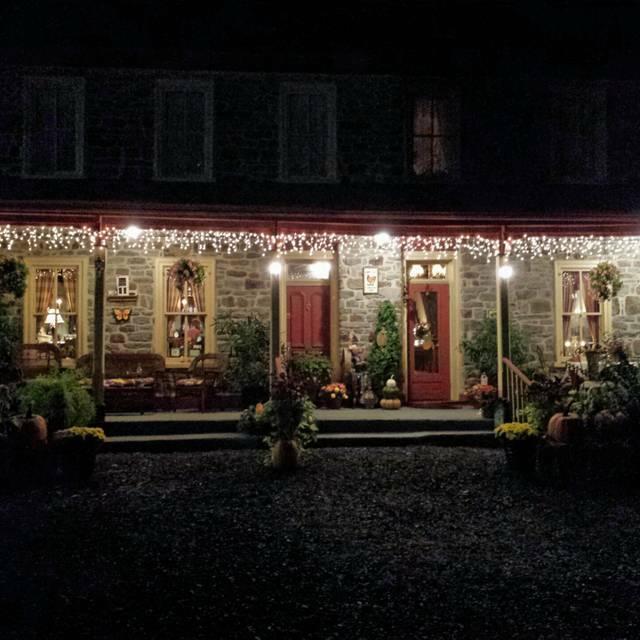 Quaint country inn with delicious food. We are looking forward to going back! We go here for valentines day and other special occasions. The food is always above our expectations. It's quiet and cozy inside and the owner always makes sure that you've enjoyed your meal. Great location, interesting menu and specials. Very good food and drinks. The ambiance of the old farmhouse can't be beat! Arielle's is a perfect Valentine's Day restaurant. 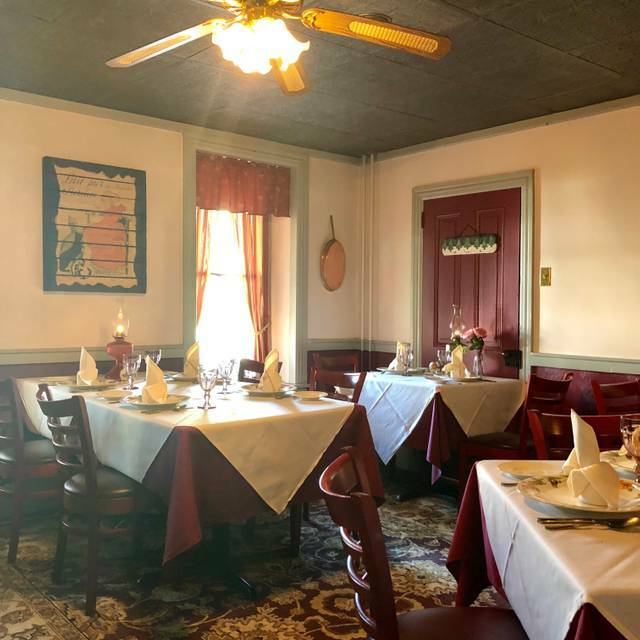 The ambiance of a 1700's Inn, stone walls and low lighting with little background noise (at least in the backroom area where we dined), make this an intimate dining experience. The servers were friendly and attentive. The food was terrific. My mushroom bisque was superb and the short ribs fork tender. My wife also enjoyed her chicken entrée which was enough to bring a portion home for another meal. Desserts of raspberry truffle ice cream and chocolate mousse were delicious. We highly recommend Arielle's for a fine dining experience. The food was delicious as always. Looking forward to going back. I took my wife to Areille’s for Valentines Day. We arrived early, they took her coat and sat us right away. The server was prompt and pleasant. They offered the full menu plus 2-3 specials for both appetizers and entrees. We both ordered a starter and entree. The food and timing was excellent. The house Cesar salad is superb! For dinner my wife had the crab cakes and I had the NY strip special. The steak was cooked perfect. 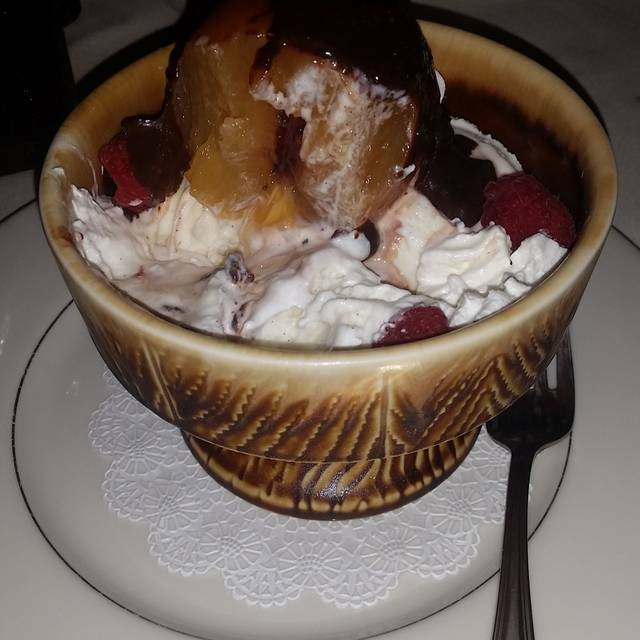 Capped it all off with the house specialty poached pear dessert. Perfect! Never a bad meal here....it’s our go to place for special dinners. Top notch service and attention to detail. Food is always prepared to order and alway delicious! Absolutely, positively, PERFECT! Me and my wife’s favorite place to have a great dining experience. As always, we had a perfectly wonderful dining experience at Arielle's for our 51st anniversary. Our recent dinner at Arielle's was our second time to dine there to celebrate birthdays. Dinner, service and ambiance were excellent just as it had been at our first dinner. It's a special country inn not to be missed. Outstanding as always. We have never been disappointed. Good food, service, and ambiance. The atmosphere, service and food were all excellent. The pasta stuffed with chicken & be at was superb. and a staff that is very pleasant. This has become one of our favorite places. Great time as usual. There were 5 in our group celebrating a birthday. Food, service, and ambience was great. Our favorite place to dine for any occasion. Great food, great service. Beautiful decor and pleasant ambiance. I wish that I could write a better review but we didn't get to dine there yet. I don't know if there is a problem with Ariell's or Open Table but I had made a reservation online through open table and it was even confirmed. We traveled to the restaurant only to find that they were closing for the evening. There is definitely miscommunication somewhere. First time trying this restaurant. I had brought the family for a birthday celebration. Everything was great. The food tasted great. Plan on going back real soon.